It wasn’t pretty, but ultimately the second-ranked Maryland Terrapins (11-0-1, 3-0-0) were able to pull off a 2-1 overtime win Tuesday over Rutgers (4-5-1). John Stertzer (8), celebrating his 21st birthday, headed in the game’s first goal in the 20th minute off a corner kick. However, the Scarlet Knights responded with a goal by Sam Archer to knot things up just two minutes later. The game would remained tied through regulation. However, seven minutes into overtime, Stertzer (9-97th) put the icing on the cake by scoring his second goal of the game to give Maryland their fourth win in 10 days. As a whole, the Terps have surrendered just three goals in their last six matches. 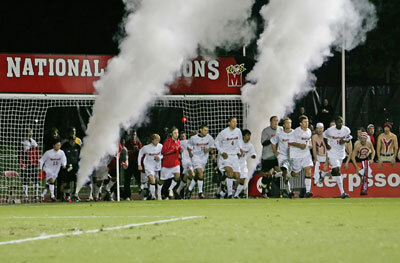 Maryland will resume one of college soccer’s most historic rivalries tonight with the No. 23 Virginia Cavaliers (6-4-0, 2-1-0) in Charlottesville, VA. The Cavaliers are coming off a 2-0 home win over Clemson in which they held the Tigers without a shot until the 53rd minute and allowed only two shots throughout the entire match. Virginia was able to tally 15 shots in the game. Virginia has outscored its opponents 20-14 this year. They’ve netted 10 first half goals and 10 second half goals while yielding five goals in the first half and eight in the second. Will Bates leads the Cavaliers in goals (9) and points (21). His three assists rank second on the team behind Brian Span’s four assists. Bates has scored in nine of Virginia’s 10 matches. Span is second on the team with three goals and 10 points. He is the only Wahoo besides Bates with more than four points on the season. Nine different Cavaliers have notched goals this season. Maryland owns a 37-28-8 edge in the programs’ all-time series, which dates to 1941. The teams have met five times in the last two seasons, with Maryland winning both matchups by 2-0 counts last season and Virginia taking all three contests in 2009, including two in the postseason. The Terps are 5-4-1 in their last 10 matches against the Cavaliers. Maryland is 3-0 against top-25 ranked opponents this season. They have outshot ranked teams by a 46-20 margin. The Terps have outscored ranked opponents 14-2 this season. Against unranked teams, their margin is just 17-6. Casey Townsend leads the Terps in goals (11) and points (22). Stertzer is second with nine goals and 21 points to go along with three assists. Townsend ranks second in the ACC with 11 goals, one behind Duke’s Andrew Wenger. Will Bates is tied for third with nine. Townsend is the reigning ACC, NSCAA and Soccer America National Player of the Week. He is currently seventh all-time in career goals at Maryland with 37. John Stertzer is coming off his second multi-goal performance of the season. Patrick Mullins is third on the Terps with 12 points on five goals and two assists. Sunny Jane leads Maryland with five assists. Maryland is ranked first nationally with 31 goals; Virginia is tied for 18th with 20 scores. The Terps have also given up an ACC-low eight goals this season. 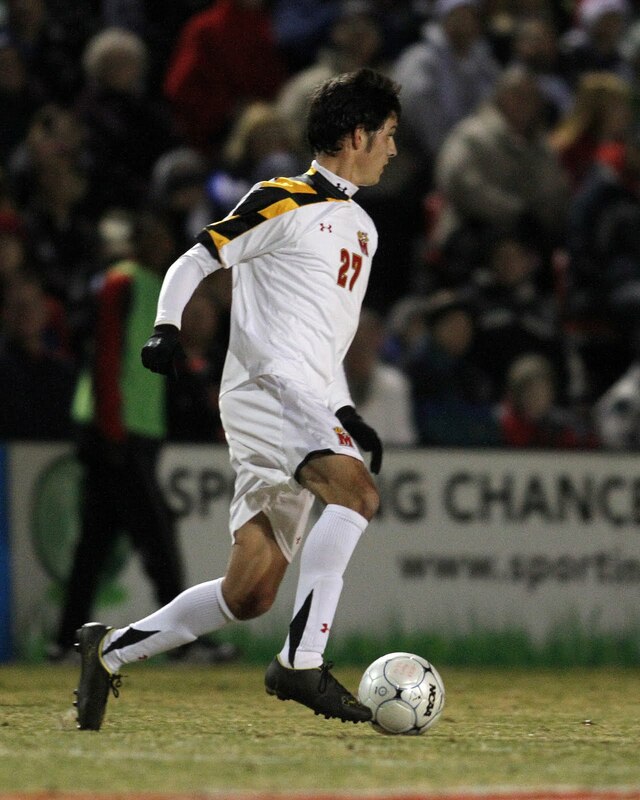 Maryland played more games (12) than any other team ranked in the top 25 of the NSCAACoaches Poll. You can listen to the action live from Charlottesville on WMUC Sports at 6:45. I will be on the call along with Josh Fendrick. This entry was posted on October 7, 2011 by Scott Kornberg. It was filed under Maryland Terrapins, Soccer and was tagged with Alex Lee, Casey Townsend, John Stertzer, London Woodberry, Maryland men's soccer, Maryland soccer, Maryland Terps, Maryland Terps men's soccer, Maryland Terps soccer, Maryland Terrapins, Maryland Terrapins men's soccer, Maryland Terrapins soccer, Sasho Cirovski, Sunny Jane, Taylor Kemp, Terps men's soccer, Terps soccer, Widner Saint Cyr, Will Bates, Will Swaim. I love the page of your page. Obviously you have a very valid point, however I can’t get over how great the site design is.